LA TRINIDAD, Benguet – With the aim of boosting the income of chrysanthemum and lettuce farmers in La Trinidad, Benguet, the Department of Agriculture’s Philippine Rural Development Project (DA-PRDP) invests in the provision of greenhouse structures and supporting implements which were turned over to two farmer groups on June 22, 2018. The Gusaran Lower Wangal Irrigators’ Association received materials for the construction of two greenhouses to protect their leaf lettuce seedling production enterprise. The two proposed 216-square meter greenhouse structures are projected to collectively produce around 1.6 million lettuce seedlings that can go up to 10 cycles per year. “These greenhouses shall be managed by the association and proceeds from sales shall go to the association as additional capital,” said Perry Villena, President of the Association. Villena added that the establishment of these greenhouse structures will help sustain and respond to the regular supply requirement of the members and to eventually stabilize their production and marketing operation by allowing them to produce quality lettuce seedlings without fear of being destroyed during rainy season. On the other hand, the La Trinidad Cutflower and Ornamental Plant Growers Association (LaTCOGA) received materials for three greenhouses purposely for chrysanthemum production. According to Andy Colte, President of the LaTCOGA, the members of the association agreed that the greenhouses will be installed in individual farmlots in three barangays, namely, Bineng, Lubas and Beckel in the municipality of La Trinidad, Benguet. “The individual recipients of these greenhouses shall pay back the cost of said greenhouses to the association within three years,” Colte added. Accordingly, the farmer-beneficiaries agreed to remit at least ten percent of the total cost of the greenhouse as part of their sustainability policy until they have paid the cost of the greenhouse within 2 to 3 years. 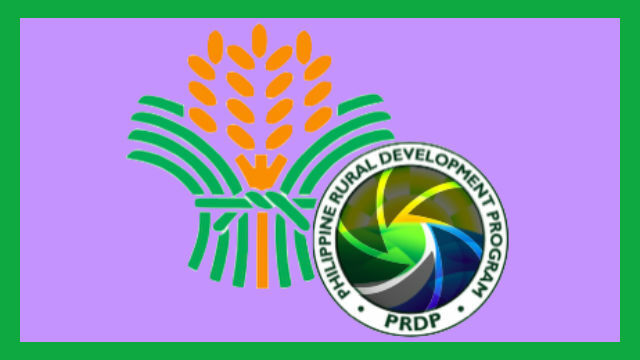 The accumulated amount of Php 270 thousand will be used to construct a greenhouse for the next qualified member, and so on, as per policies approved by the members during one of their meetings. In both cases, planting the crops without the protection of greenhouses incurs losses in production as narrated by the beneficiaries. “We experience losses in production without the greenhouse because when planted in the open, our seedlings – whether vegetables or cutflowers – are vulnerable to pest infestation, wilting and spoilage due to drastic changes in weather conditions,” Colte explains. Colte added that the greenhouses will be helpful also during off-season, allowing the farmers to produce quality crops even during rainy season to continue sustainability of regular supply as demanded by their buyers. At the turn-over ceremony, Josie Beray reminded the beneficiaries that there are still a series of activities to be conducted after these deliveries. “We have to establish the operations manual of each proponent group to guide you on how to properly and effectively implement your business plans,” she said. After the operations manual establishment workshop, another major activity will be done by the national project coordinating office, project support office and the regional office with the LGUs who shall be visiting the two groups to conduct business process reviews. “The consultants from these offices will review your performances and check if you are implementing your business according to your business plans,” Beray said.